Dr. Arnold Peace is passionate about his desire to do the best he can, regardless of the situation. He enjoys the challenges that dentistry provides and strives to find the best possible solution for each patient’s dental health. Dr. Peace loves the relationships he’s made with his patients and his team over the past two and a half decades and looks forward to many more years of creating beautiful, healthy smiles in the Glenshaw community. 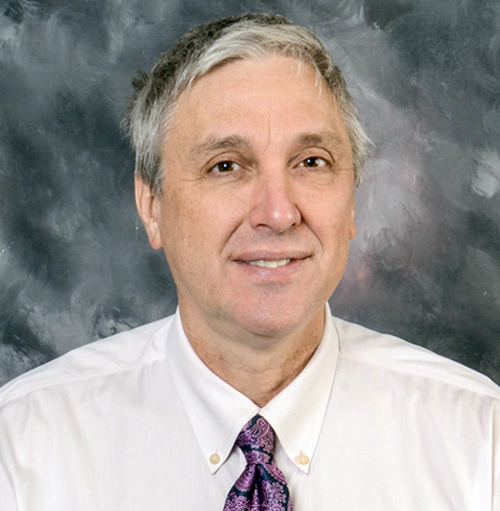 Dr. Peace earned his Bachelor of Science Degree from Penn State University and continued on to the University of Pittsburgh where he completed his Doctorate of Dental Medicine. In the past 25 years, Dr. Peace has continued to update his education, not only in aspects of clinical excellence, but in practice management and team development as well. Dr. Peace has assembled a group of people who work together as a team to provide the best patient experience possible. Each person plays an integral role in making sure nothing slips through the cracks, and the friendships they’ve nurtured extend far beyond the office. Dr. Peace grew up between the town of DuBois and Punxsutawney, PA in a small farming community called Paradise. He is one of six children and spent his childhood working on his parents’ and grandparents’ farms, as well as in his father’s garage. He loved building his own bikes and wagons in the garage, wrecking them, and starting all over again. Despite more than a few broken bones, Dr. Peace remembers his childhood fondly. It may come as no surprise that when Dr. Peace is not working on teeth, he is working on cars. His current projects are a 1968 Firebird and a 1976 Jaguar. He also enjoys stonework and has completed some great flagstone projects around his house with little, to no help, from his best buddy, Poco. Patients get to see some of his carving projects in the Christmas Room Operatory. Dr. Peace and his wife, Nora, moved to the Pittsburgh area in 1989 when she returned to law school. They moved to McCandless Township in 1993 and have lived there with their five children, Ryan, Jeremy, Justin, Ian, and Nikki, ever since. Dr. Peace and his wife are empty nesters but already have five grandchildren and are having a blast with these returnable rug rats!